Endeavor provides a spectrum of integrated programs, serving the evolving needs of riders and their families, including recreational sport, clinical services, and programs focused on growth and learning. Endeavor provides a wide scope of fun filled activities and empowering experiences to participants of all ages and their families. We are proud to offer equine assisted activities and therapies to Service members, Veterans, and their families free of charge. 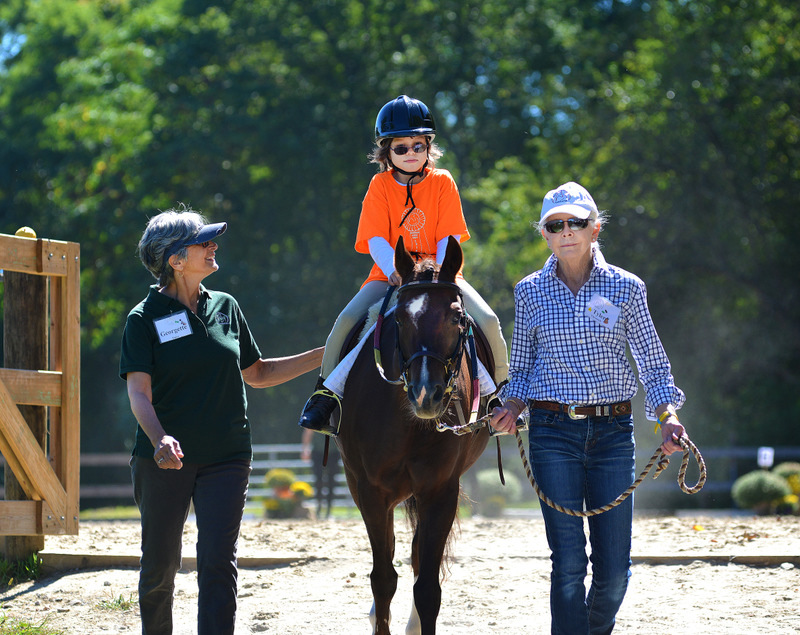 Endeavor partners with residential facilities and day programs to provide Equine Assisted Activities and Therapies. Endeavor partners with local school districts to integrate learning themes with the sensory rich environment of the farm. Includes ground horsemanship skills, daily riding, games, crafts, and activities that center around the horse. Endeavor offers a series of inclusive camps that are open to people with and without special needs. By request, Endeavor can provide a wide range of personalized field trips for school outings, recreational groups, local businesses or residential facilities, and birthday parties or special events for currently enrolled participants. Endeavor can create an itinerary based on members of participants, age range, and goals for the trip. The cost is dependent upon the group and chosen activities. "It is hard to gather the words to capture the Equine Program you provided to the veterans from the VA in Montrose from June-November 2016. From the day of inception, you all went out of your way to accommodate any needs we had. I knew from the initial phone call I had that all was going to be ok. That wasn’t even close to describe what happened each week. For the entire 6 months miracles happened for every vet who had the gift of Endeavor. Vets were having feelings/thoughts they didn’t know how to deal with while involved in the program. They were crying, laughing, struggling, trying, etc with the gift of the horses being there to help them through whatever was going on at the time. And they all came through with life altering experiences that they are still talking about. "I wanted to reach out to you and really reiterate how grateful I am that I found you!!! Jane has thoroughly enjoyed riding during the week and "neigh neigh camp" was a tremendous hit!! I know how safe she feels with you and in your program and that peace of mind is worth an enormous amount. “ Saturday was a truly lovely event. Endeavor looked magical. The kids were all proud and confident and happy. The parents, grandparents, friends, family - well, we were all able to relax and bask in the glow of it all. I know that you realize that this feeling is not all that common for us. The parents that took the flight to “Holland” (if you know that poem). We have scaled mountains, forged rivers, picked thru icebergs, often alongside others - where we could take comfort/vent/cry/laugh/compare stories. But going to a “Horse Show” - well - that sounds like a regular “day out”. “I want to begin by saying thank you! Thank you for giving me a chance to meet you and the wonderful staff at Endeavor. This experience was nothing short of remarkable in every way. 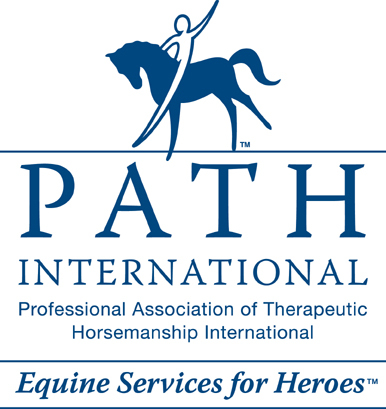 Your team provided exceptional care and knowledge on all your horses and the program as to how it relates to PTSD and Addiction with Veterans. It was because of this program I was able to really see my strengths and weaknesses come to light. I am a 13 year Veteran with 3 Combat tours to Iraq, to include Baghdad, Kirkuk, and Tikrit. During my time in Iraq, I was awarded 3 Purple Hearts and a Bronze star of Valor for my actions that took place. It was because of these wounds that I held away from people and tried to not get close to anyone or anything. Endeavor changed all that! When I was there with the horses, I had to learn to be mindful, calm, steady, and smooth when dealing with the horses. We never got to learn the horse’s trauma, but we did get to learn their pain as they did ours. I wanted to learn everything about the horses, their fears, hopes, and struggles. But true to your word I was stopped in my tracks from getting information “Even though I tried really hard”. But that’s the beauty in this program. It makes you look deep inside of yourself and that other opponent and see what’s making you both tick. Working with Pearl, I was able to learn more than just words but feelings too. As I worked beside her I could feel her every move, every breath, and every gaze. Now I’m not too sure about most but when she looked into my eyes I felt as though she could see into my very soul. I learned how pain locked us and understanding of what’s around made us. Her and I were creatures of many levels and thanks to her I was able to breathe and clear my mind.